I used an A4 refill pad, some decorative craft papers and watercolour paints to make my journal this year. 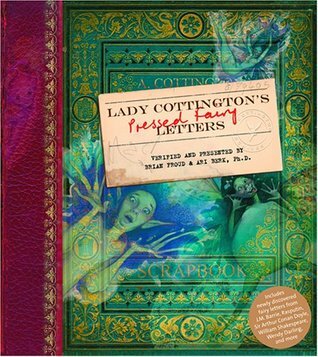 I took inspiration (loosely) from Lady Cottington’s Pressed Fairy Letters by Brian Froud. I love the messy inky look in this book and all of the letters that you can open and I wanted to bring those elements to my journal.